June 9th: Our old friend Kyp Malone, one of the main forces behind both TV On The Radio and Rain Machine, returned to the Bay Area to work on a new duo record with Daron Key at New, Improved Recording last February. While he was in town, we asked him to grace our series with a few solo songs, which he did with unmatched passion and spirit. These are powerful songs, and you can download high-quality MP3s of them, as well as see video and photo footage of this very special session, the eighth in our series, at TheBayBridged.com. April 7th: Miles Kurosky, the lead singer and main songwriter from the defunct band Beulah, is our special guest artist for New, Improved, LIVE – Session 7. Wanting to promote his first solo record, The Desert of Shallow Effects, he asked me to put together a surprise crack band for the session. I certainly surprised him, by assembling six of his former Beulah bandmates, to mark the first time we all played music together in roughly six years. You can download MP3s of the session, as well as see video and photo footage of the unique event at TheBayBridged.com. 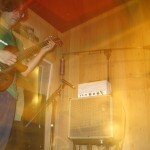 January 27th, 2010: We’re pleased to present Sleepy Sun as the band for New, Improved, LIVE – Session 6. Despite an overworked schedule and having a couple of members under the weather, they rocked hard and really killed it, all live in the same room! We’re pretty proud of these tracks, which you can find here: TheBayBridged.com. Hopefully some videos are to follow soon. 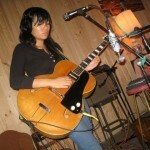 November 18th: The band for New, Improved, LIVE – Session 5 is Thao with The Get Down Stay Down! San Francisco resident Thao Nguyen and bandmates graced our studio before kicking off their fall tour to promote their new record, Know Better Learn Faster, out now on Kill Rock Stars. 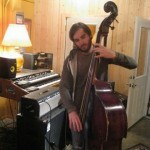 Listen to songs from this record (and others) recorded live at New, Improved Recording in October, up now at TheBayBridged.com. There are also a couple of nifty videos up there courtesy of Pandora. September 23rd: Just released: New, Improved, LIVE – Session 4. Port O’Brien is this month’s band, and we were really impressed with their songs, as well as with their cover of Beyonce’s song Halo! Hear that and more at TheBayBridged.com. Also, by the way, Yoni Wolf’s N,I,L videos are now up at Pandora; here is the link to “Eskimo Snow”, one of the songs off of WHY?’s new record, which coincidentally came out yesterday! July 1st: New, Improved, LIVE – Session 2 is up! The great 7-piece band Citay came in and tore it up, and played a Sweet cover to boot. 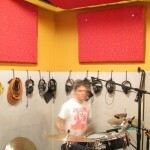 You’ll find audio at TheBayBridged.com, while the video is up on Pandora. 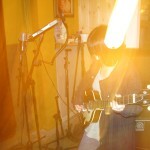 June 3rd: New Deerhoof videos, edited in association with Pandora.com, are up! 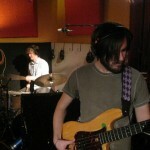 April 30th, 2009: Announcing “New, Improved, LIVE”, our new quasi-monthly live-in-the-studio recording series. We’re quite thrilled to announce that Deerhoof is the first band in this series. 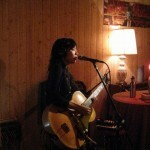 Clicking on the logo will bring you to MP3s, videos, and photos of their New, Improved, LIVE session, hosted by TheBayBridged.com. N,I,L Logo designed by Joan Reilly. 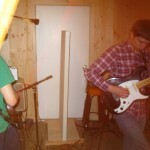 Pandora co-presents new Deerhoof videos! Powered by WordPress and designed by Courtney Trouble.